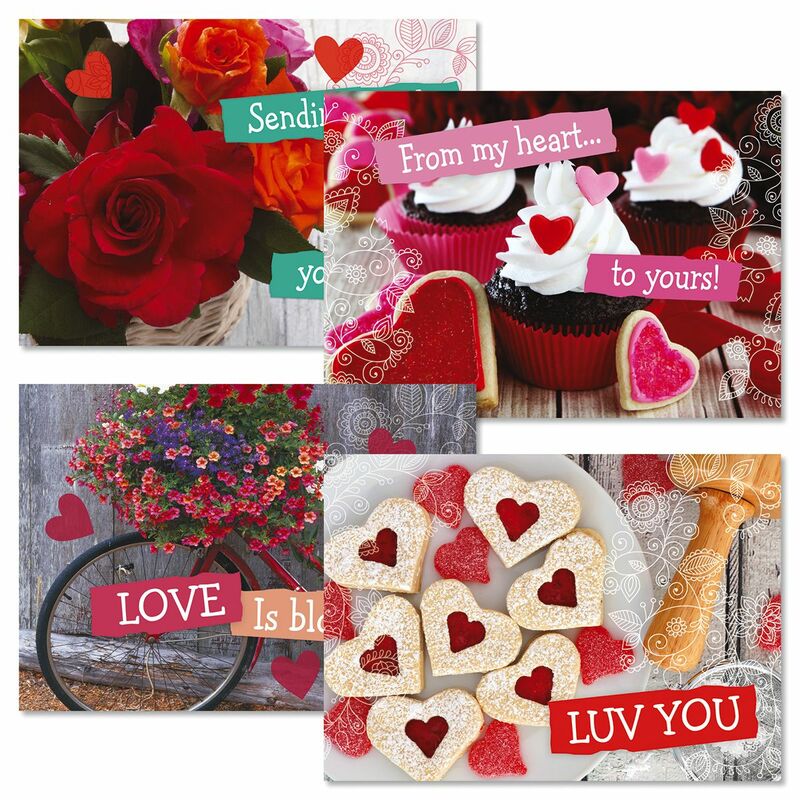 Send some love with these valentine cards. 5' x 7" cards come with white envelopes. Printed in USA. Inside: Life is so much sweeter with you in it. Happy Valentine's Day. 2. Front: From my heart...to yours! 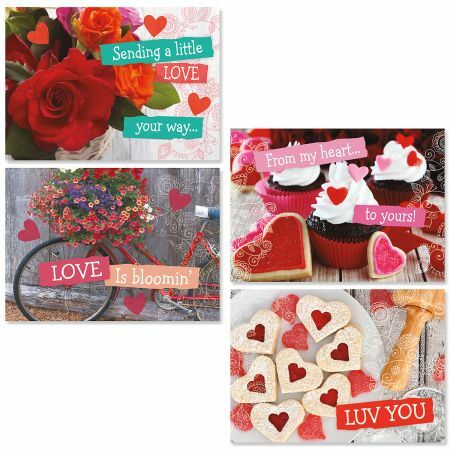 Inside: ...this Happy Valentine's Day.